Sharing a phone-pic from the DeMarest family museum visit this past weekend. 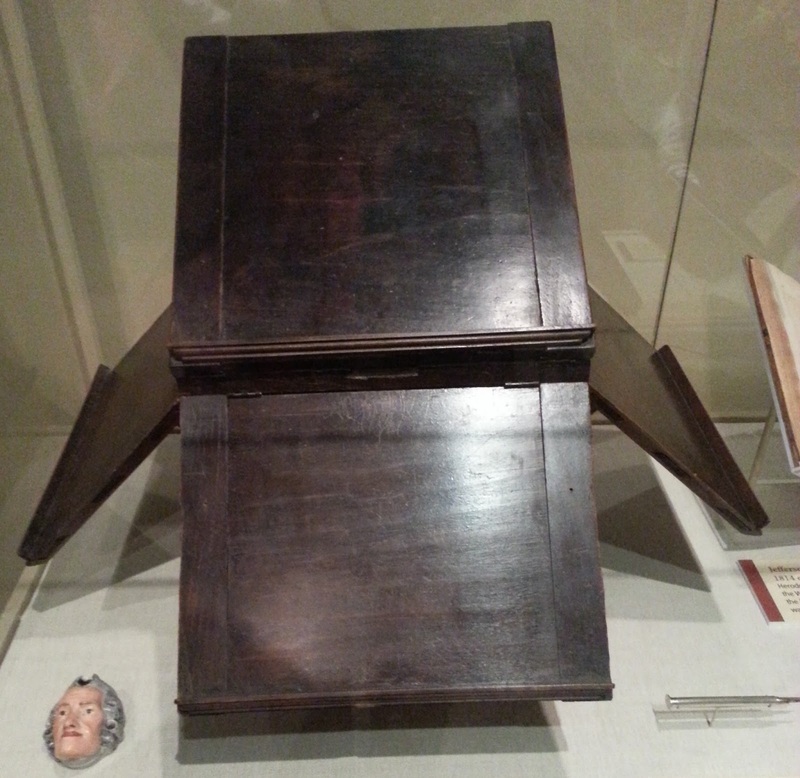 What you see here is Thomas Jefferson’s first stab at pioneering the “tabbed browsing” experience we’re all familiar with on modern internet browsers. This rotating book stand contraption, of his own invention, allowed him to quickly switch between 5 different open books and to satisfy his self-described "canine appetite" for reading. As someone who generally reads a two or three, if not more, books at any one time, I am in awe of the man’s ingenuity. Oh, and that little ceramic piece to the left? That’s Jefferson’s inkwell, in the shape of Voltaire’s head, naturally. Pretty cool, huh?